"I'll tell you the difference between you and me!" Nanase Haruka loved to be in the water - loved swimming. In elementary school, Nanase Haruka, Tachibana Makoto, Matsuoka Rin, and Hazuki Nagisa attended the same swimming class together. But, after winning their last tournament together before graduating from elementary school, they went their separate ways. Time passed, and as Haruka was living an uneventful high school life, he suddenly encountered Rin again. Rin challenged Haruka to a race and showed him how much stronger he had become. Haruka couldn't let it end that way. 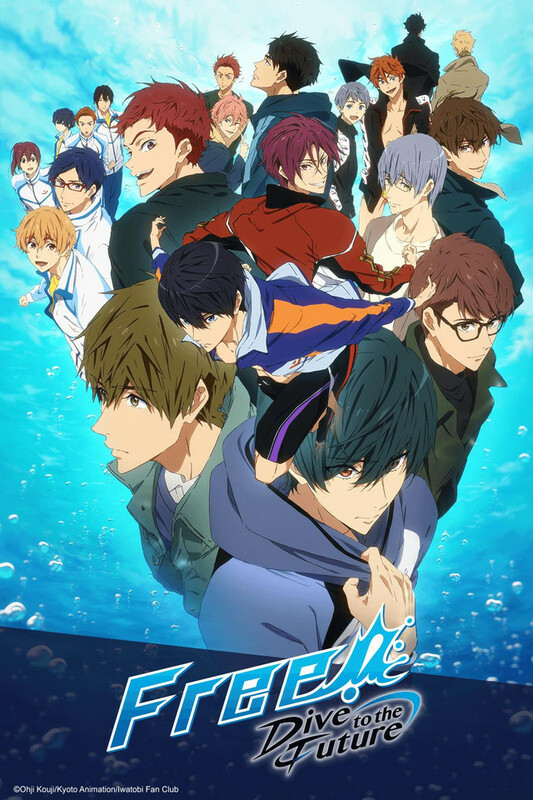 Soon enough, Makoto and Nagisa also rejoined the group, and along with a new classmate, Ryugazaki Rei, they established the Iwatobi High School Swimming Club. This is the vibrant story of swimming, youth, and relationships shared by Haruka, Makoto, Nagisa, Rei, and Rin.